For as busy as he’s been for the last 27 years, KRS-One is not the best curator of his own body of works. However, lucky for the Boogie Down Productions co-founder, The Teacha has always rolled with people that know how to chronicle the times. Kris’ brother, DJ Kenny Parker is one such person. 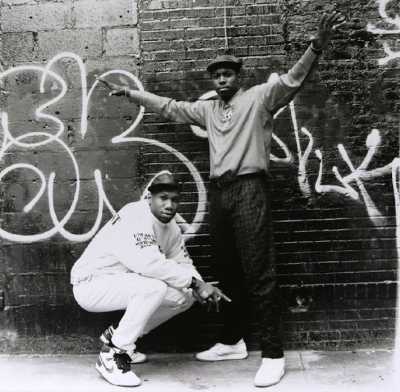 On East Village Radio, Kenny recently played 22 minutes of sessions stemming from the days when KRS and the late DJ Scott La Rock were B.D.P., as well as some crown jewels presumably from the mid-1990s D&amp;D Studios years.